Football Kenya Federation has on Monday, December 3, 2018, rolled out a week-long coaching course which targets sports teachers and coaches drawn from various primary schools and grass root women teams. The course is the first action plan of a pilot project where FIFA aims to impact over 60 million women by 2026, thus increasing participation of women in football. FKF General Secretary Robert Muthomi officially got underway the program at the Royal Court Hotel in Mombasa. 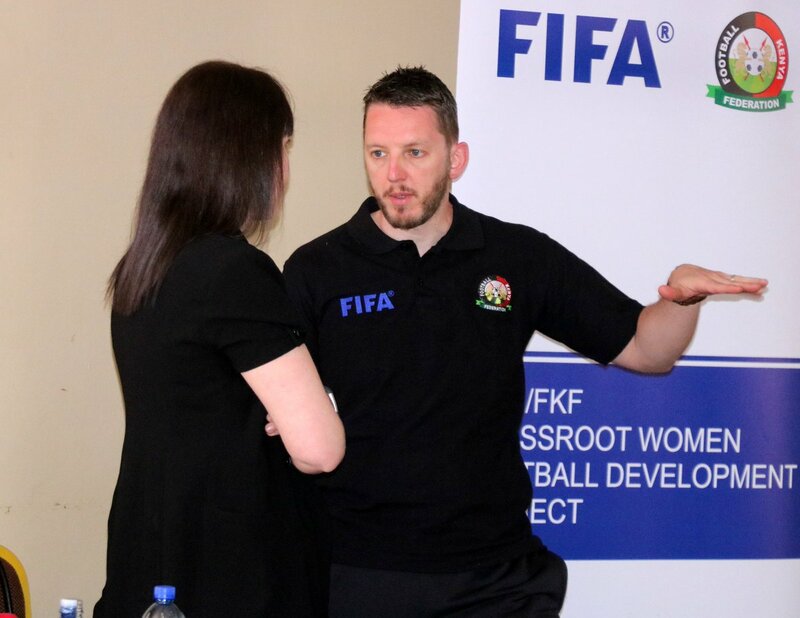 He noted that FIFA chose Kenya as one of only two African Nations to pilot the project due to FKF’s consistent investment in women football over the past three years. “Women football in Kenya has a lot of potential,” said FKF CEO Robert Muthomi. “It is for this reason that FKF has continued to invest a big chunk of the funding we get from FIFA in women football development programs,” he added. Under the tutelage of FKF Instructor Twahir Muhiddin, the participants were taken through theory sessions as well as a practical session at the Serani Sports Grounds. Also lined up are referees’ trainings and leadership workshops for former and current women footballers. Kisumu and Nairobi will host two more coaching courses, with the referees training set to be held in Meru later in December.